County Mayo is one of Ireland's largest and most scenic counties, boasting miles of coastline together with a variety of lake and mountain scenery. The principal tourist town is Westport while the larger town of Ballina also caters to visitors. There are a host of smaller villages and towns. Two of the best golf courses in Ireland, Carne and Enniscrone are in Mayo. (Enniscrone is actually just across the border in County Sligo). Westport and Ballinrobe are fine parkland courses and there are also courses at Castlebar, Claremorris and Ballina. The fabulous links at Connemara is just to te south in County Galway, while the links courses in Sligo (and even Donegal) are also within reach. 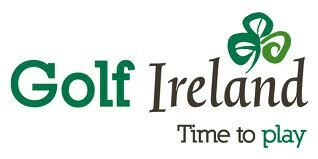 See also our region guide to golf in the west of Ireland. For visitor information on County Mayo please visit the official Mayo Tourism website or the Mayo Tourism Directory.